Imagine a work order with a bill of materials that consists of 14 parts. Often when the technician takes the asset apart to make the repair, there are only a few items which warrant the consumption of a repair part. Most repairs only actually require a fraction of the parts listed on the bill of materials. The honest reason for why parts are ‘shot-gunned’ or over-installed is that it’s very difficult and time-consuming for a maintenance technician to return unused parts to the warehouse. Candidly, when it comes to technicians – they love to install unnecessary things. In our estimates over the last 11 years, maintenance organizations can save between 7-11% of their consumption by installing reverse logistics processes to make it easier to return unused parts. The time and money lost installing things that were not needed in the first place can seriously impair your overall repair and maintenance budget’s impact on reliability. Simply defined, requisition loss is the time spent ordering, locating, pulling and checking on status related to parts, tools, consumables and materials. Any time spent by highly qualified maintenance technicians on these types of activities is typically a misuse of the skill set, and in some cases, with an inefficient interface, it is impractical for maintenance technicians to become proficient in what is essentially a data querying or data input skill. In most organizations, there is some component of the maintenance backlog which is due to parts that are out of stock or on back order. This is a direct expression of how well the maintenance supply chain is performing. If the parts are not ready, the job cannot be scheduled. A reminder that for every percentage of parts on back order, the effect on work order availability is multiplied by the average number of parts on the repair bill of materials (BOM). For this reason, a 99% or greater parts availability statistic is desirable. Every oil and gas organization utilizes a computerized maintenance management system or (CMMS). Depending on how user-friendly it is, it will have descriptions of parts, asset histories, and a good interface that will tell the maintenance technician what the ‘story’ is with a particular asset prior to repair. This reduces troubleshooting time greatly if one can tell the reason for failure, average time between failures, and history of how reliably an asset is performing. Additionally, if the CMMS has a feature which denotes whether the particular failure is covered by a warrantee, there is the potential for millions of dollars in parts expenditure avoidance via warrantee dollar recovery. A fully utilized CMMS can reduce time and expense in maintenance. Essentially because operations may not have issued the correct permits or has not locked out and tagged the asset, the maintenance technician is prohibited from conducting the scheduled work due to lack of planning. In our experience this is typically a cultural artifact that if left unmanaged, can result in a 5-7% reduction in maintenance productivity. Essentially the operations team (without a valid reason) tends to impose dominance by controlling access to the asset. All maintenance technicians are not equal. There are some that have an expertise across a wide range of assets, and a depth of experience that allows them to expeditiously fix things. The problem is that these individuals are surrounded by technicians of lesser capability that lean on the ‘godfather’ heavily to troubleshoot and perform more complex work orders. A good way to determine if there are skill bottlenecks in the maintenance work force is to perform a skills assessment. See Trindent’s previous blog articles on how to create your own ‘Skills Matrix’. Work orders are typically set up and planned by a maintenance planning department. The level of planning may be poor, with inaccurate bill of materials for the job, and a lack of understanding and specificity about what inspection, maintenance repair needs to be conducted. Typically planning wastes are rectifiable by having a good planning feedback process when jobs are mis-estimated, vague or lacking the best possible preparation. We define wrench time as value-added maintenance where the work order is moving towards completion, unobstructed by any barrier. If wrench-time is not measured and a clear expectation set, you will be surprised by how low it can go. 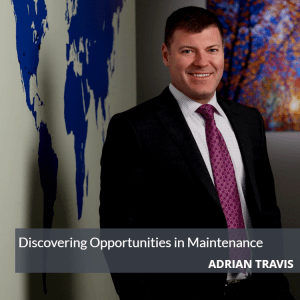 If any of these seven opportunities in maintenance are present in your repair and maintenance process, they will express themselves in the form of a lower-than-optimal ‘wrench-time’ statistic.